Acellus Pre-Calculus is taught by award-winning Acellus Master Teacher, Patrick Mara. Acellus Pre-Calculus is A-G Approved through the University of California. 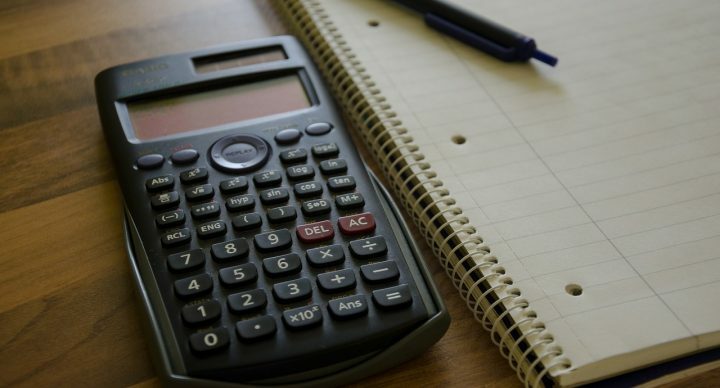 Upon successful completion of Acellus Pre-Calculus, students will have the a strong foundation of the basic mathematical skills necessary to maximize success in Calculus. Students will review various functions – equations and graphs – and transformations thereof. They know that functions can be used to model real-world situations. They will be familiar with linear, quadratic, power, polynomial, rational, exponential, logistic, and logarithmic functions. Students attain a deeper understanding of complex numbers and what they mean. Trig skills have been reinforced as students use the trig functions to find unknown sides and angles of right triangles. Students have gained confidence working with graphs of trig functions and translating them. They are familiar with harmonic motion and know how to use it to solve real-world problems. Their proficiency using the basic trig identities is improved as they continue to solve problems using them. Students learn about vectors and dot products. They learn about polar coordinates and how to express complex numbers in this form. Students are familiar with several uses of matrices in solving real-world problems. Student skills using conic sections are reinforced. Students also have a basic fundamental understanding of the concept of the limit, tangent lines, and finding the area underneath a curve – all in preparation for continued studies in Calculus. Unit 1 – Functions This unit covers definition, domain, range, continuity, increasing, decreasing, symmetry, asymptotes, end behavior, and extrema. Also presented are a function tool kit, piecewise defined functions, combining functions, composition, implicitly and parametrically defined, inverse functions, translations, dilations, modeling, and sequences. Unit 2 – Polynomial, Power, and Rational This unit discusses linear, quadratics, power, polynomial, long division, synthetic division, remainder and factor theorems, rational zeros, complex numbers and zeros, the fundamental theorem of algebra, rational functions and equations, inequalities, and interval notation. Unit 3 – Exponential, Logistic, and Logarithmic Functions This unit covers exponential, logistic, modelling with sequences, logarithmic, properties of log functions, equation solving, compound interest, sum of a geometric sequence, continuous compounding, and exponential modeling. Unit 4 – Trigonometric Functions This unit discusses angles, arc length, trig functions of acute angles, special angles, circular functions, graphs of sine and cosine, translations of trig functions, tangent, cotangent, secant, cosecant, harmonic motion, and inverse trig functions. Unit 5 – Analytic Trigonometry This unit covers basic identities, sums and differences, multiple angles, solving right triangle,s the laws of sines and cosines, and area. Unit 6 – Vectors, Parametric, and Polar This unit discusses vectors, dot products, parametric equations, polar coordinates and their graphs, complex numbers in polar form, DeMoivre’s Theorem, and complex roots. Unit 7 – Systems and Matrices This unit discusses solving systems of two equations, matrices, inverse matrices, amd other uses of matrices. Also covered are multivariate systems and systems of inequalities. Unit 8 – Conics This unit includes parabolas, completing the square, distance, midpoint, circles, ellipses, and hyperbolas. Unit 9 – Calculus This unit covers binomial theorem and regression, finding limits, tangent lines, and area under a curve.